I think I've always considered myself an artist. 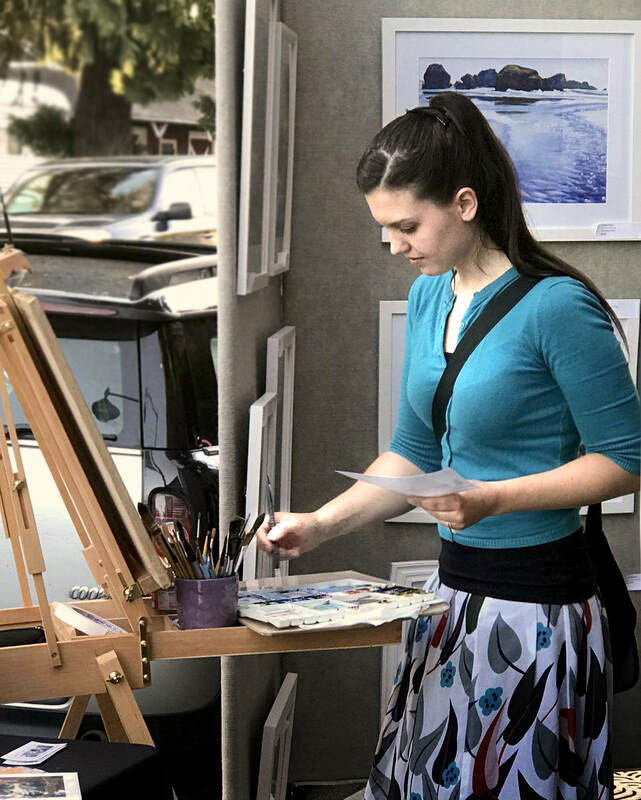 My passion for art at an early age continued throughout my schooling years and I completed a Bachelor's degree of Fine Arts in Painting from the University of Washington. During my studies I traveled abroad to paint in Rome, where I really began to explore and hone my artistic skills and interests. After finishing my degree, I went on a solo adventure through New York and Europe with sketchbooks in hand, visiting some of the world's most renowned art museums and galleries. I observed and studied the works of John Singer Sargent and the French Impressionists, always with pencil and paper at the ready. My travels continue to inspire me and the thought of seeing a new natural wonder or location that I may interpret on paper or canvas is always a thrill. I love painting landscapes, wildlife, and botanical compositions and find one of the most challenging but rewarding things to capture is the way sunlight affects and manipulates colors, tones, and shapes in nature - the warms and cools of the highlights and shadows in nature are mesmerizing. I love living in the Pacific Northwest; there is never a shortage of inspiration. The moody weather fronts, unique flora and fauna, and the dramatic mountains and coastlines are my favorite subjects. Please feel free to contact me directly ( jacqueline (at) jacquelinetribble.com ) if you'd like to purchase an original painting.